MVS Studio is proud to get behind great causes. When New England Patriots player and uber popular Bostonian Vince Wilfork of the New England Patriots hosted an event through his foundation that aims to combat diabetes, we jumped at the chance to be there. 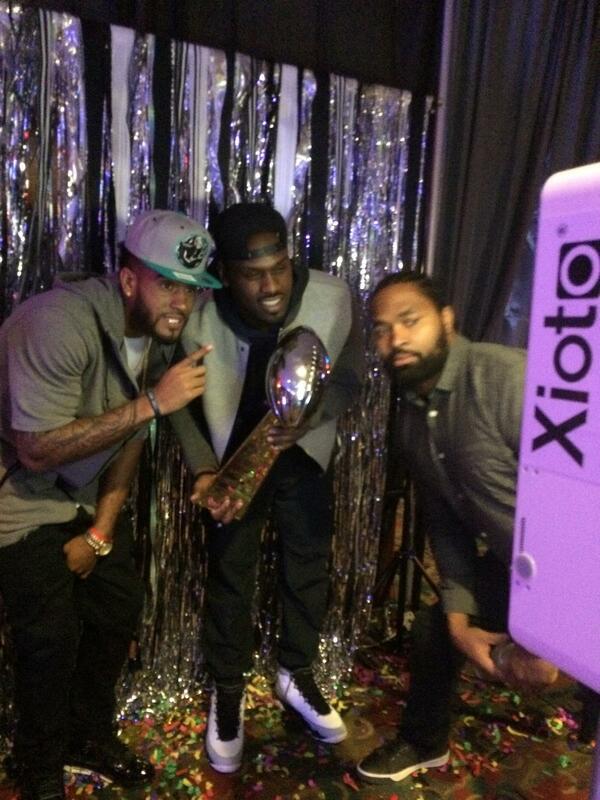 Dubbed the #ChamptionsParty, the Xioto photo booth was featured at the event. Xioto is our mini booth that prints instantly, uploads to a gallery for social sharing and gives users a selection of filters for their images. @mrs75 and I would like to thank everyone for coming out to the #TheChampionsParty last night. Definitely an unforgettable farewell party with my brothers and longtime supporters of the foundation. Thank you @mvsstudio for capturing the night! This is also the story of a very large man and a small photo booth. Check out the shot of Vince Wilfork above and below, check out the scene of his recently crowned superbowl champion teammates crowded in front of our smallest booth. Usually we post images to give our new clients an idea of scale, but this is ridiculous! Smaller, cuter and better. The Xioto may look small, but it is capable of caputring all the action! Contact us today to find out why the Xioto is smaller, cuter and better!